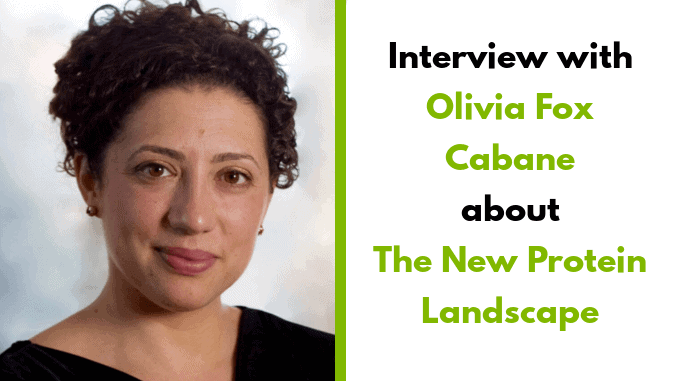 Olivia Fox Cabane is the former Director of Innovative Leadership for Stanford StartX, the current Chair of the International Alliance for Alternative Protein, and the bestselling author of ‘The Charisma Myth‘. In addition to being a keynote speaker and executive coach to the leadership of Fortune 500 companies such as Google, MGM and Deloitte, she lectures at Harvard, Yale, MIT and the United Nations. Olivia’s work in creating the New Protein Landscape has been highly influential in the industry and she chairs The International Alliance for Alternative Protein (IAAP). vegconomist was delighted to have the opportunity to speak with Olivia about her work and that of the IAAP, an additionally The Alternative Protein Show which will take place in January 2019. Please tell us about the International Alliance for Alternative Protein and your work. The International Alliance for Alternative Protein (IAAP) brings together all of the players in the new protein industry: CPG manufacturers using plants, algae, fungi, or cellular agriculture as their protein source; Ingredient suppliers of fragrances, flavors, fillers, shelf-life extenders, etc; Technology & processing partners; Incubators & Accelerators; Nonprofits, Research & Academia; Venture Capital funds investing in this new industry; and Corporate venture partners (the venture arm of a larger entity). The IAAP provides its members with strong tools for connection, collaboration, and marketing exposure within this exploding industry. How do you envisage the future of protein? We all know that our current food system, in particular our protein production system, is not just unsustainable, it’s horrific. The damage that animal agriculture is doing to the environment is just the tip of the iceberg. That’s why so many of us are passionate about finding alternative proteins that could sustain nine billion people in a healthy, humane, and environmentally responsible way. There is a tipping point, beyond which “alternative” becomes “mainstream.” I believe that the day we match traditional protein sources on taste and beat them on price, we will have reached that tipping point. It can’t happen soon enough. What has been the most exciting development in cellular agriculture or alt protein in your experience? Without a doubt, it’s the incredible speed at which this industry is exploding. Just look at two Landscapes side by side; the first one – the very first – is from february of this year, the second is from seven months later. I have never seen an industry grow at such an extraordinary rate. The second most remarkable development is the amount of interest in funding. When was the last time you saw an industry with twice as many VCs trying to give money away, as there are companies to accept it? Forget social media; if you’re a young entrepreneur, alt-protein is where you should be. It’s a trillion dollar market begging to be disrupted. The third point is simply the quality of the people who are entering this field. We’re not talking high-school or college dropouts; we’re talking highly accomplished doctors, biologists, engineers and successful entrepreneurs. Who at present are the key players in protein / alternative protein? The New Protein Landscape is divided into three main groups: entities that are creating alternative proteins, entities that are supporting this creation, and entities that are funding the whole process. Within the “creating” category, you’ll find a first subdivision of CPG vs ingredients, and within CPG, a further subdivision between plant-based and cell-based protein. Within the “supporting” category, we find processing & technology partners, incubators & accelerators, nonprofits, and research & academia. The “funding” category separates VC firms from the venture arms of large corporations and the venture / investment arms of government agencies. 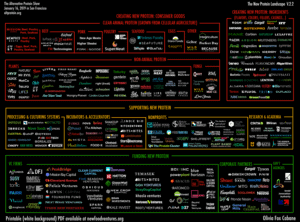 This ecosystem is further supported by media, events, and service providers. The Alternative Protein Show (January 15th-17th, 2019) is a great big networking event where all the entities on the New Protein Landscape are invited so they can all meet each other. Just like in the map, there will be different areas for plant-based and cell-based protein, ingredients, technology, incubators & accelerators, NGOs, VC funds, government agencies and more. Pre-Event Workshop: If you’re from outside the US, this is a great opportunity to learn fundraising, the Silicon Valley way. You’ll receive the abbreviated version of a curriculum developed for Stanford StartX international entrepreneurs. Thursday January 17th: More than a dozen Silicon Valley venture capital firms have reserved time in their partners’ schedules specifically to meet with visiting startups, and you’ll be able to sign up to meet them via online calendar. This is your chance to schedule follow-up meetings with all the people you’ve met at the speed-dating show. Who can get involved in this event or learn more about the work of the IAAP? We welcome involvement from all the people in and around the alt-protein industry, whether you’re a student, a startup, a nonprofit or a large company.